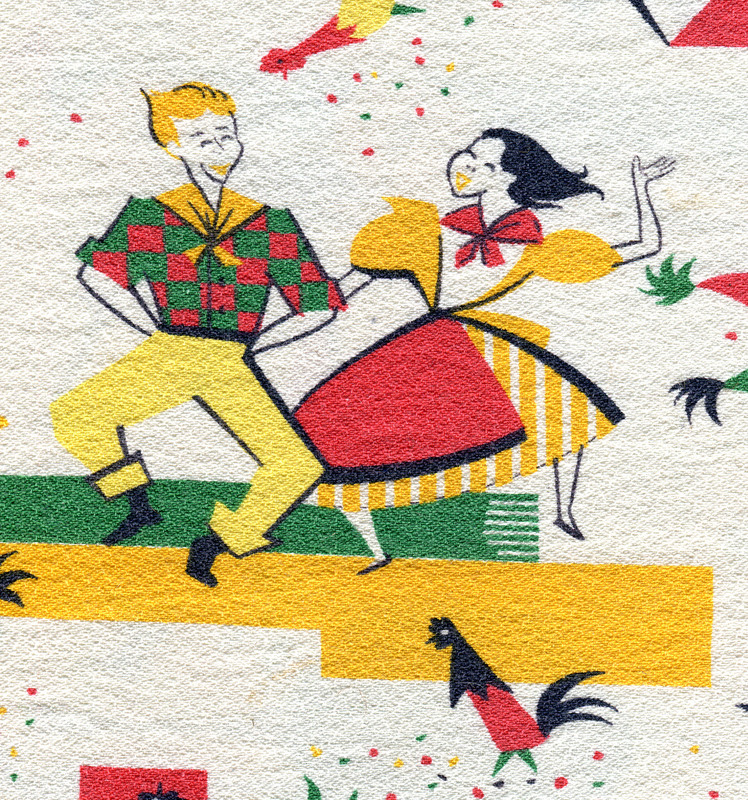 This vintage table cloth captures the spirit of Seven Brides for Seven Brothers. Doesn’t it make you feel like gathering the community for a quick barn-raising, followed by a potluck feast? The tablecloth above is one of many I grew up with. It was always my favorite. Everything tasted better when the table had such a cute cloth covering it. This one was handed down from my mother-in-law. I love the rooster’s expression of contemplation. ← What’s Your Textile Identity? Seven Brides for Seven Brothers is probably my all-time favoirte movie. I watched it again not too long ago, and was afraid it would feel dated. But I enjoyed it as much as I did the first time. It’s a real classic! The quilts in that movie are amazing!